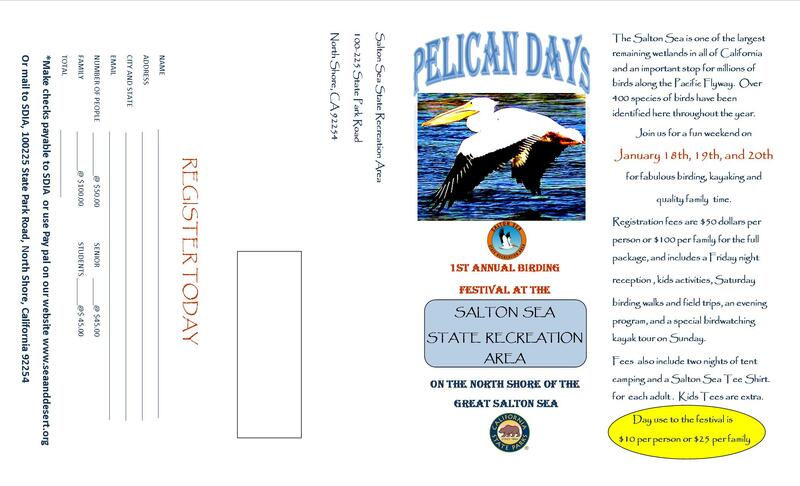 The Sea and Desert Interpretive Association has announced PELICAN DAYS, a new birding festival for the Salton Sea! The dates are January 18th, 19th and 20th. 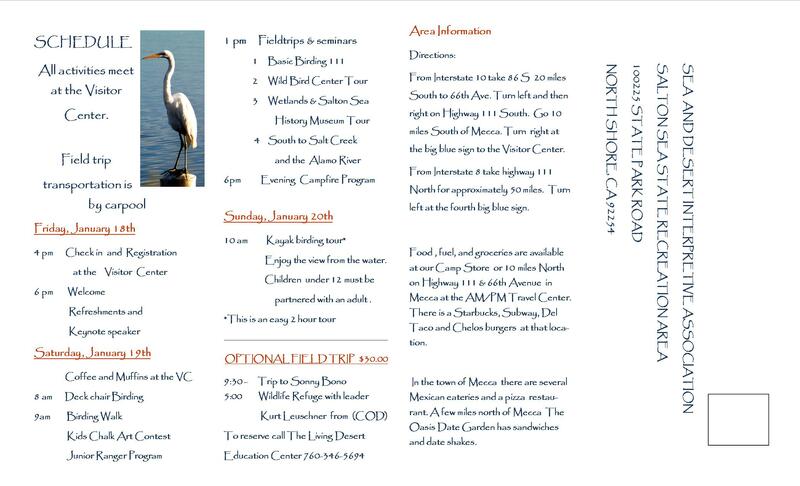 It will be held at the Salton Sea State Recreation Area on the north shore of the Salton Sea. 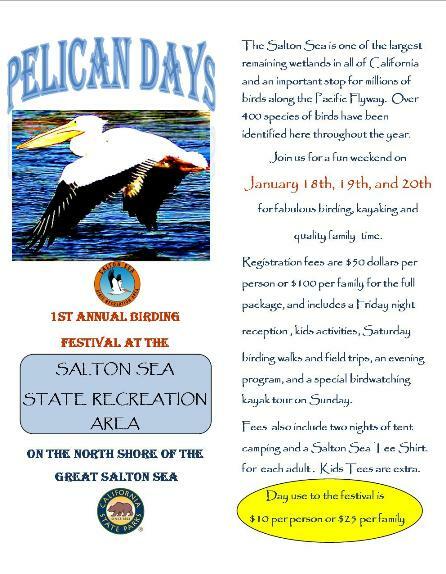 This would be a great festival to take the kids and camp out on the shore of the Salton Sea. 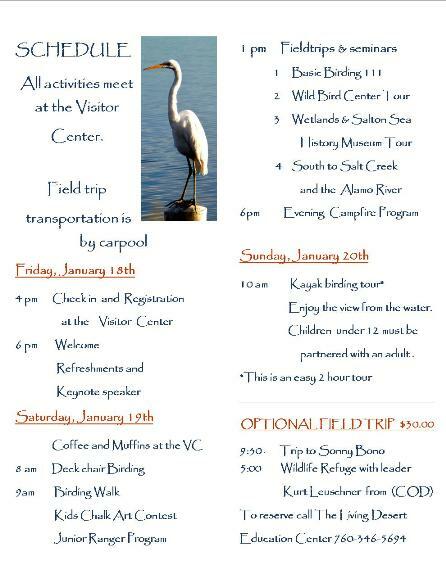 There will be several birding trips and activities at the State Park and there will also be birding by kayak on the sea. Tour transportation will be by carpool. The two sided registration and information flyer is posted here in two pages. Clicking on each page will open the full sized version of that side of the registration page in a new window that should be printable at 8.5×11.